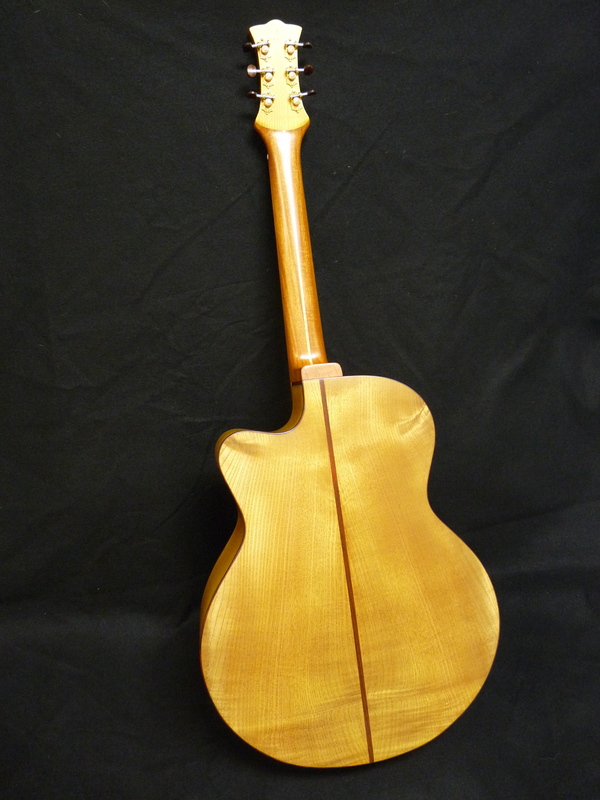 Custom “Rounder” built for a heart transplant recipient, who will be using it to promote the organ donor program and to support other heart transplant patients going through the process. 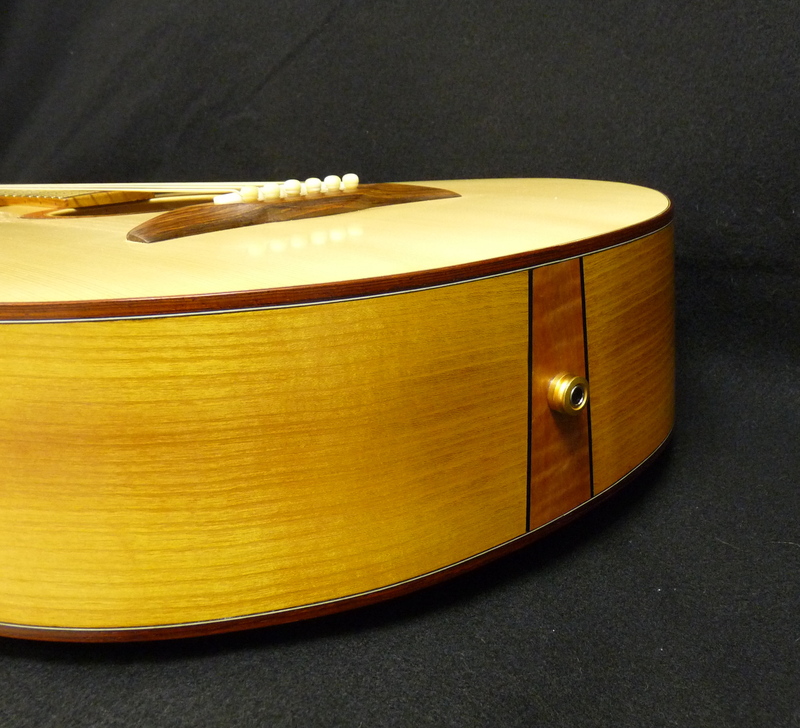 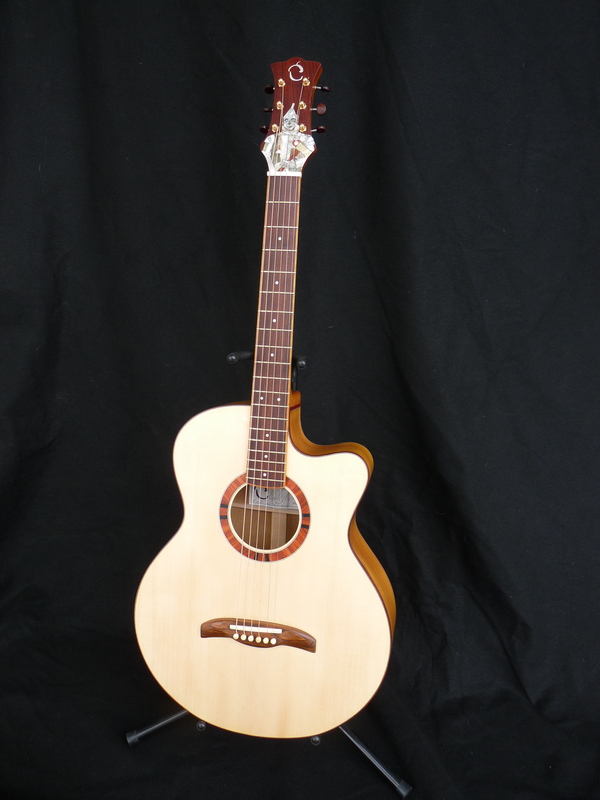 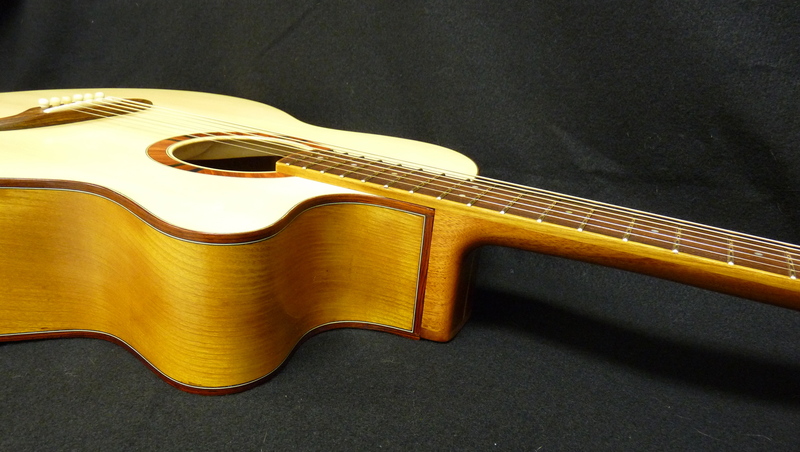 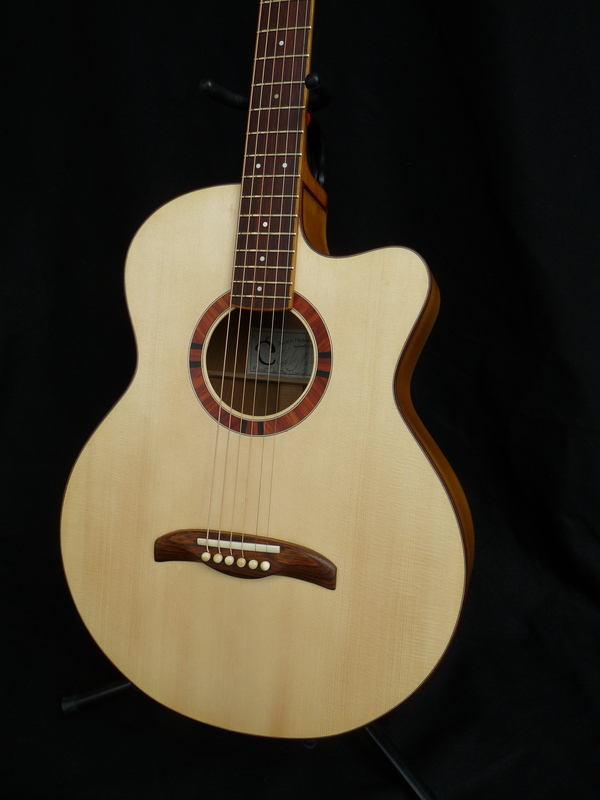 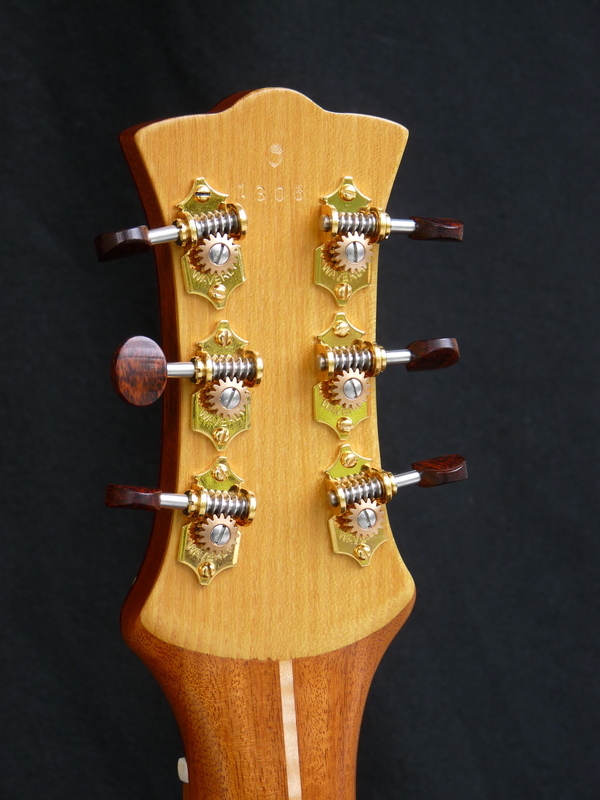 The bracing has been changed from the standard “Rounder” to accommodate a 12-fret design. 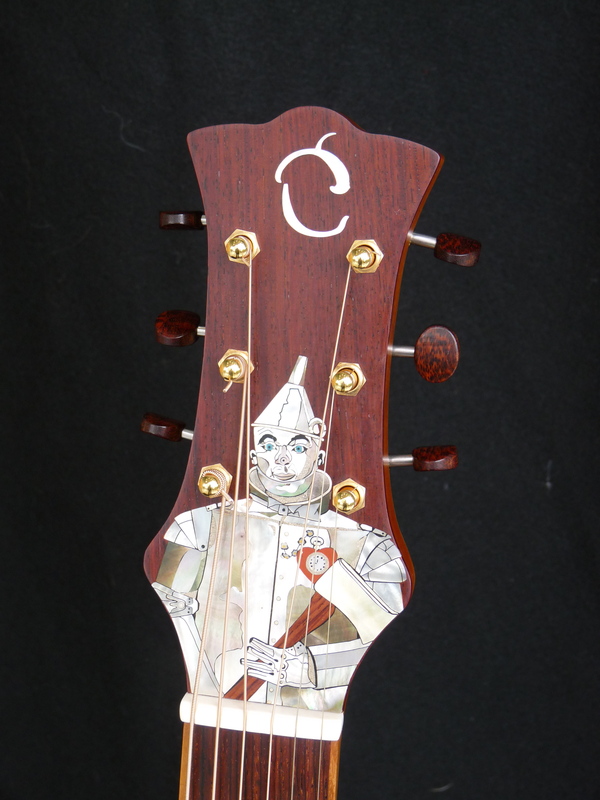 The headstock inlay was designed and executed by renowned inlay artist Jimmi Wingert especially for “The Tinman.” The guitar also features a sound port for the player. 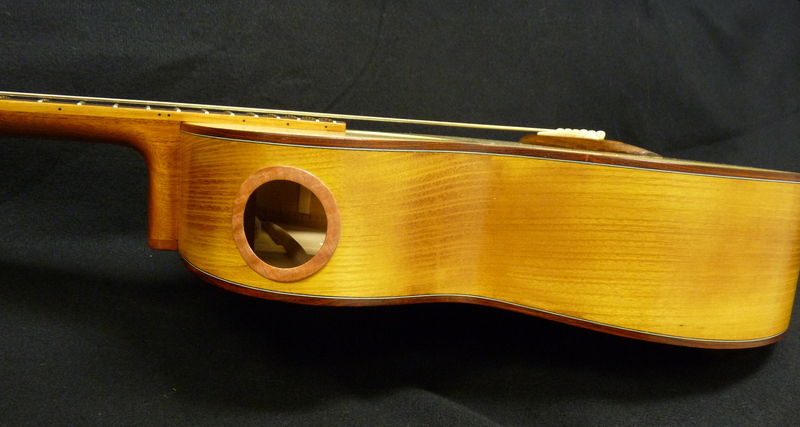 Osage orange back and sides, “Mastergrade” Italian spruce top, reclaimed (sinker) Honduran mahogany and maple neck, cocobolo fingerboard, bridge, binding, and headstock overlay, bloodwood and ebony rosette, red mallee burl endgraft, heel and sound porthole, bone nut, saddle and bridge pins, JJB artist series Prestige 330 pickup, maple bridge plate, gold Waverly tuners with snakewood knobs, gold EVO frets.